Cash Advance with credit cards is usually done when the financial situation was not good. The decision to get help by doing cash advance was quickly taken . Cash Advance using the credit card is not really good sometimes. The reason is because it is charged quite expensive. This is not only about administration fees but also the interest is more expensive than retail transactions. Cash Advance Fee may vary for each bank. Indonesian banks majority, the fee of cash advance using credit card is 6% of the total funds with minimum fee Rp.50.000,00 Or USD 4$. The problem is that most people do cash Advance at ATM with small nominal because it's just waiting for payday or there are unexpected needs because of missing wallet or having temporary financial problem. However the minimum fee of Cash advance is Rp.50.000,00 or USD 4$. Imagine when somebody take Rp. 50000 or 4$ from ATM with credit card, The Cardholder will be charged the fee about Rp.50.000 or USD 4$. In other words the fee for Rp. 50000 Cash advance transaction is 100%. For Retail Transaction, Suppose you are spending 500 thousand in a billing statement. And you pay the balance full before due date, in this case you will not be charged interest. The Interest calculation only done when you pay for minimum payment only or late payment. If you do cash advance for USD 4$ and you pay it all before the due date, you still will be charged for Interest and the fees of course. Why? Because the interest calculation run immediately after your transaction., the system will immediately begins counting interest of your cash advance transaction. Pay Off the Total of bill in the next month you will only be charged for Cash advance Interest. But if you only pay for minimum bill, in the next billing statement you will be charged both cash advance interest and retail interest. There will be no interest for retail transaction when you pay off all the bill in one cycle. But In cash advance, to stop the interest you should pay off the bill in two cycle then the interest calculation will be stopped. Logically, interest calculation of Cash Advance will be directly runs when the transaction has been posting on the bank. Then it immediately walked up to the date of printing, but not all of the interest will be concluded in your nearest billing statements. The interest will continue run in after teh day of billing printing and before you make the payment. 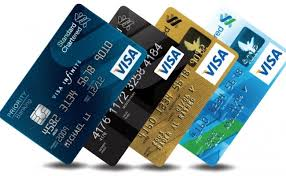 The cases that often happens is when cardholder had done cash advance transaction several years ago for example in 2010 year ago.The cash advance interest will run continue until now or 2016 if the cardholder never pay the bill off. If the cardholder want to stop the interest calculation, the cardholder must pay off the bill in two cycle date of billing statement. It is always better do request for fund transfer then do cash advance transaction in ATM. 0 Response to "Facts about Fee and interest in Cash advance using credit card"